BFI is now known as Progressive Waste Solutions and is an effective and affordable waste collection, recycling, construction container rental and industrial waste management company. 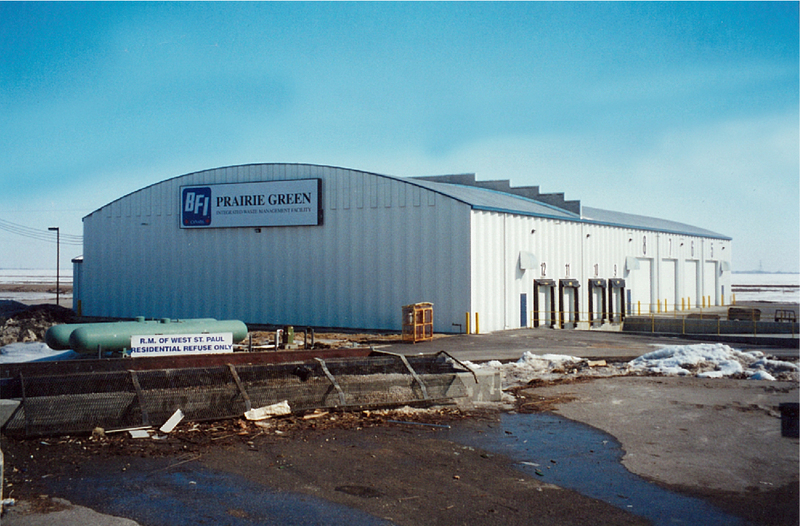 BFI’s recycling facility is unique in that this huge structure is a Behlen frameless building providing greater usable space in the building’s interior. There are no frames for forklifts and other equipment to run into and frames do not become an issue when it comes to storage. With a 22,882 sq. ft. this large facility is more than capable of looking after residents waste management needs.